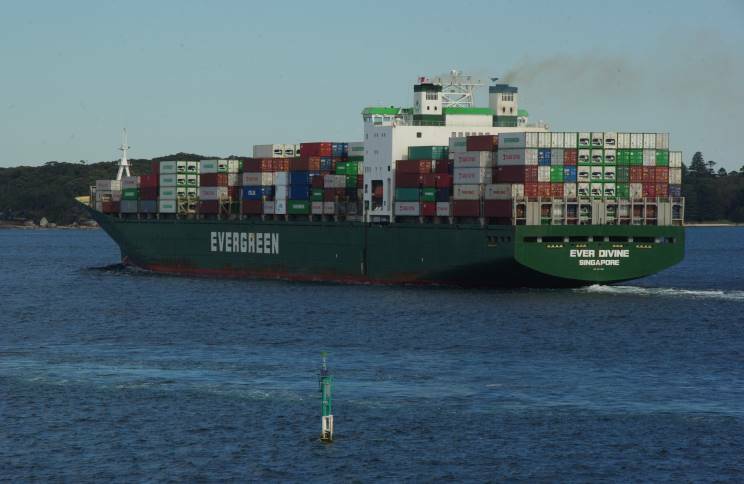 September 19, 2014: Ever Divine seen departing Port Botany, Sydney, NSW, Australia. 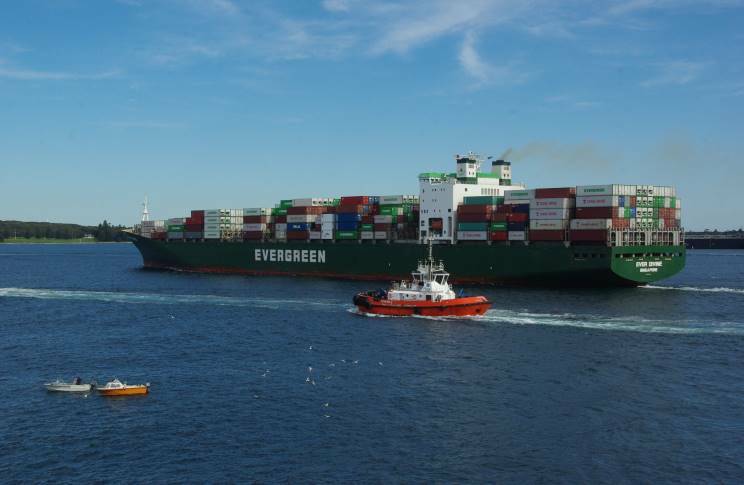 The tugs PB Endeavour (left) and Sterling are seen heading out to pick up the containership OOCL California. 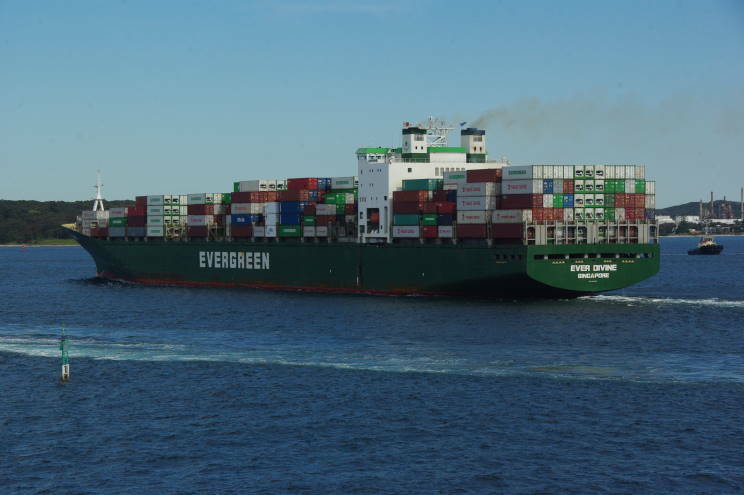 September 19, 2014: Ever Divine seen departing Port Botany, Sydney, NSW, Australia. 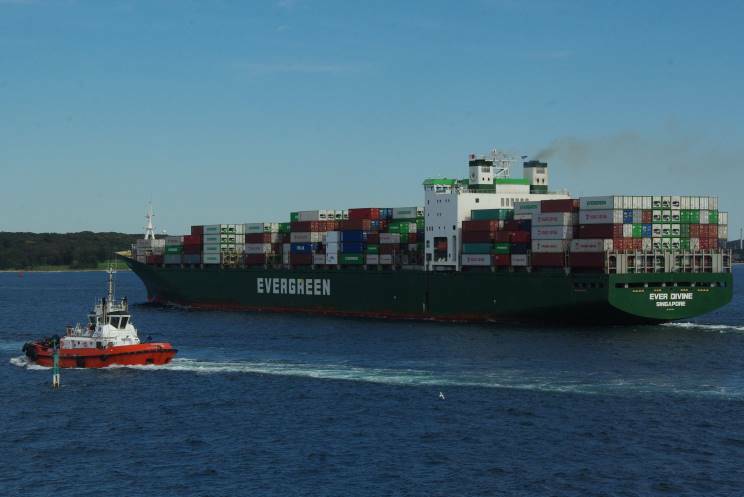 The tug Sterling is seen alongside. 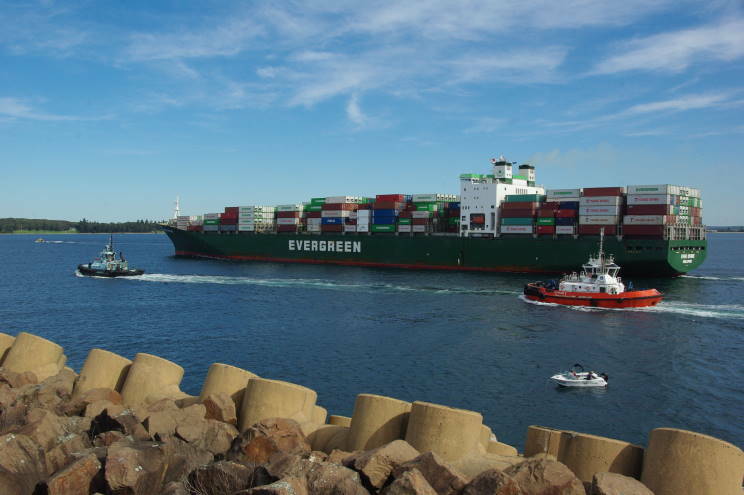 September 19, 2014: Ever Divine seen departing Port Botany, Sydney, NSW, Australia.